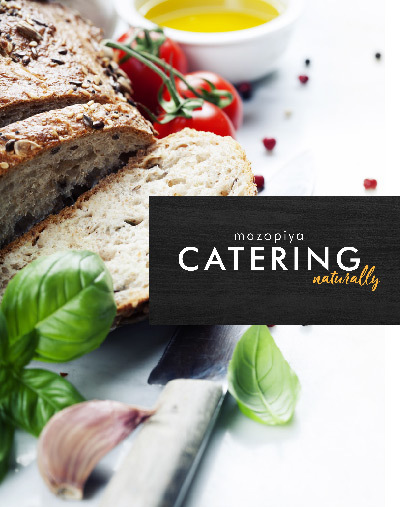 Cater your special event with tasty, natural foods from Mazopiya. Our professional catering staff is happy to assist you, whether you are placing an order or just asking a few questions. Call 952.233.9140 or visit the deli for a personalized consultation with a catering specialist. We accept all major credit cards. Credit card information is required for a 50 percent deposit at the time of order. You may pick up your order from the Mazopiya deli at a scheduled time and date. We’re located in Prior Lake with easy access to Shakopee and Savage for pick up. We strive to ensure all orders are the appropriate serving temperature upon pickup. To maintain hot food temperatures, we recommend serving these items in a food warmer/chafing dish.